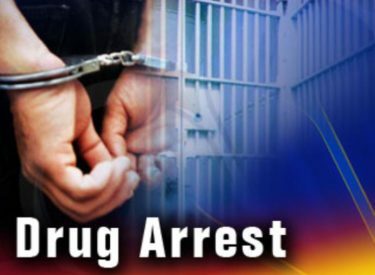 On February 4th at approximately 6:15pm, Detective Lamatsch and Officer McCann of the Hugoton Police Department initiated a traffic stop in the 1000 block of S. Main Street in Hugoton. The officers made contact with the driver, Victor Leon, 34, of Liberal. During the investigation of the stop, officers discovered drugs and drug paraphernalia including meth, marijuana and pills inside the vehicle. Mr. Leon was arrested for unlawful distribution of a controlled substances within 1000ft of a school, and possession of drug paraphernalia. Charges have been forwarded to the County Prosecutor in Stevens County.